Just recently, MoneyGram and GCash sealed a partnership that aims to give a better service to Filipinos in terms of financial inclusion. Thru this partnership, it is now very easy for GCash users to receive money from over 200 countries on their mobile wallets via digital money transfer options. Along with the growing number of active smartphone users and internet savvies, MoneyGram and GCash collaboration is deemed especially beneficial for OFWs and their families because this partnership has paved an easy way to send remittances from all over the world. Thru this partnership, GCash helps the receiving family/person to receive directly the amount transferred on their mobile wallet, instead of going to a MoneyGram office. Data from POEA shows that there are 12 million OFWs around the world who regularly send remittances to their families and love ones. The best part of this partnership is that GCash is very easy to use and convenient for every one also. This is also a solution to those who reside in areas where MoneyGram is not easily accessible. And to top that, you can easily receive the remittance any time of the day and you can receive it directly on your mobile GCash wallet. "Aside from convenience, MoneyGram ensures that there is no additional charge to use the service, although a standard charge applies for the transfer of money out of user's GCash wallet," says Yogesh Sangle, Head of Asia Pacific, Middle East and South Asia for MoneyGram. "It is MoneyGram's goal of equitable financial inclusion that envision a world where financial services are not only accessible, but also free or available at minimum cost." GCash is very easy to use, simply download the app on your smartphone, register and complete the KYC process via GCash app, the customer can receive money directly on the mobile wallet. "Apart from sending money in person, customers can transfer funds to their families and friends (from the U.S., the U.K., Germany, France, and Spain). In most of the destinations with significant Filipino communities, they can also use an ATM of self-service kiosk to perform a transaction such as 7-Eleven stores in Australia). MoneyGram also provides the added value of compliance, having invested in a world-class compliance platform and the services of talented experts to strengthen the integrity of their services and enhance the security of customer transactions," added Sangle. 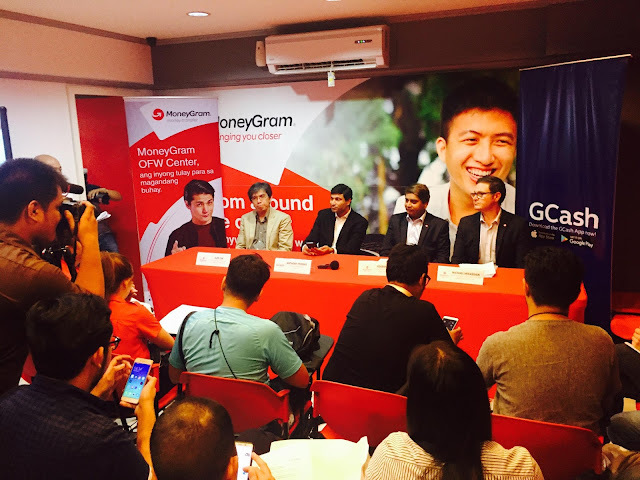 "We're excited about our strategic partnership with MoneyGram," says Anthony Thomas, CEO of Mynt/GCash. "Now, Gcash customers can enjoy the convenience of receiving money from their families abroad directly into their GCash mobile wallet. With these funds they can buy load, pay bills, scan-to-pay using QR codes at the mall and much more. Plus, customers can enjoy exclusive incentives the more funds they receive in their GCash wallet." 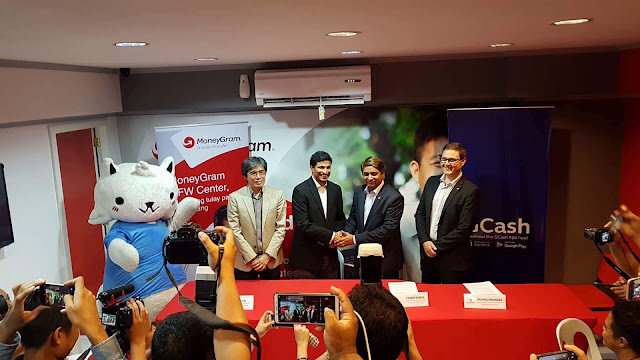 And to make the partnership more exciting, MoneyGram and GCash launched a promo that will run from three months beginning March 1. New users will receive P200 for their first transaction with the new MoneyGram service powered by the GCash app.